When you 1st arrive at the Taste, you will be greeting with the sights, sounds and delectable aromas from an eclectic mix of St. Augustine restaurants – from the casual to the upscale. As you pay your $5 admission (children admitted free and free parking), you will receive a map which indicates the participating restaurants, their location at the Taste and the dish(es) they are serving. This will allow you to make a plan for your culinary exploration! $1 Taste tickets can be purchased at the event with the restaurants charging between 1-5 tickets for their signature dish. In addition to local restaurants, local breweries and wineries also participate. You can sit at tables located throughout out the Amphitheatre or sit in the Amphitheatre seats and enjoy the live music festival. You are also encouraged to vote for your favorite to win the “People’s Choice Award”. 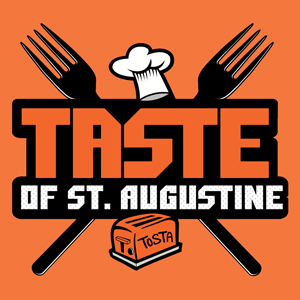 Restaurants will also be vying for the coveted TOStA (A Taste of St. Augustine) Awards, judged by a panel of culinary instructors. Prizes are awarded for Best Ethnic Taste, Best Family Dining, Best Upscale Taste, Best Dessert and Best Beverage. For the little ones, a special (free) Children’s Area is offered with fun activities including crafts and face-painting. You will also receive a special coupon page with discounts to local attractions! 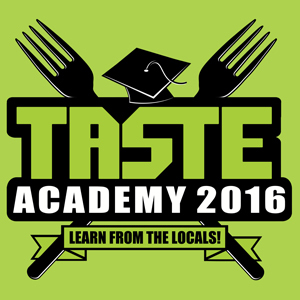 The Taste Academy offers a variety of educational opportunities to learn more about local food sources, how to prepare foods, the culinary history of St. Augustine and about local food trends. The Academy ‘courses’ will take place at various sites throughout the county. Patrons of the Academy will also receive free admission to The Taste of St. Augustine. The Academy will allow culinary enthusiasts the opportunity to delve deeper into our area’s culinary culture and heritage and will culminate at the Taste – a celebration of local food, local breweries/wineries and local music! 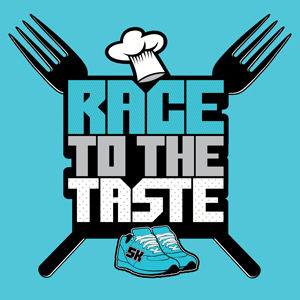 Join us for our annual Race to the Taste 5K Run/Walk, starting and ending at the St. Augustine Amphitheatre, with the course going through Anastasia State Park and surrounding neighborhoods. We are proud to be the only 5K in St. Augustine tied to an extraordinary culinary event, The Taste of St. Augustine! Registration is $25 in advance, $30 day of. For more information on the Race, visit www.racetothetaste.org. Proceeds from both the Taste and the Race will benefit EPIC Behavioral Healthcare, serving St. Johns County families for over 40 years! A popular event in NE Florida, the Flower and Garden Expo will delight gardeners of all ages with growers, nurseries and artisans from around the state offering shoppers every item to make your garden all it can be! Every year, this show features a variety of vendors bringing a wide array of horticulture including olive trees, aquatic plants, herbs, ferns, succulents, citrus, anthuriums (the ‘love flower’), bamboo, colorful flowering plants, butterfly plants, native plants and more plus gardening accessories and art. 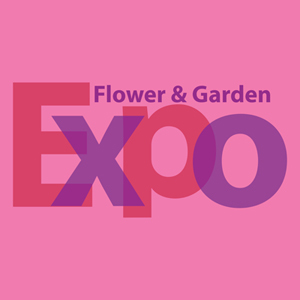 Everything needed to restart and enhance gardens will be available at the Expo! 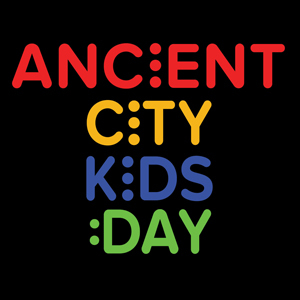 Coordinated by EPIC and brought to the community by a committee of children-serving organizations, Ancient City Kids Day is an annual event that encourages and reminds all of us to spend meaningful time with the children in our lives. During this free community celebration, parents and kids will enjoy games, arts & crafts, live entertainment, a non-profit resource fair and more! The only cost to patrons is at the food tent where hot dogs and hamburgers are available. Ancient City Kids Day allows adults and kids to share in relationship-building activities that create positive and memorable experiences. Plan to join us in October for Ancient City Kids Day – a day of free family fun!